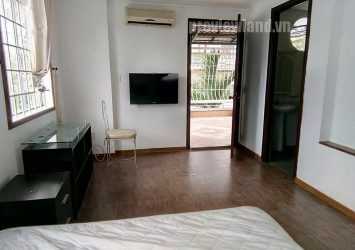 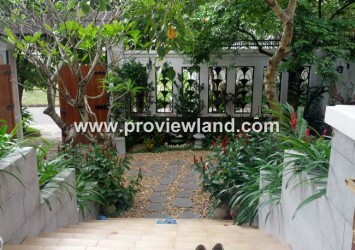 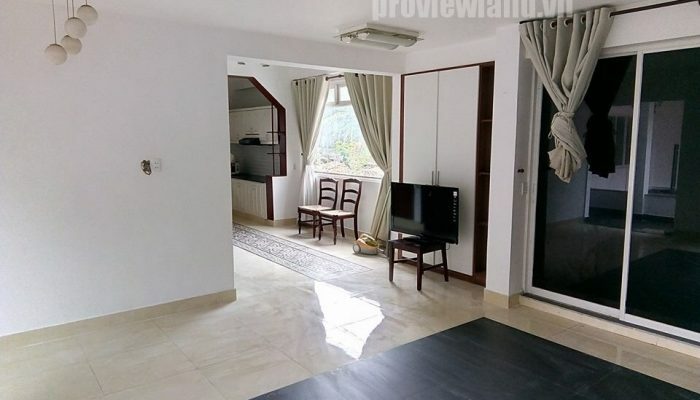 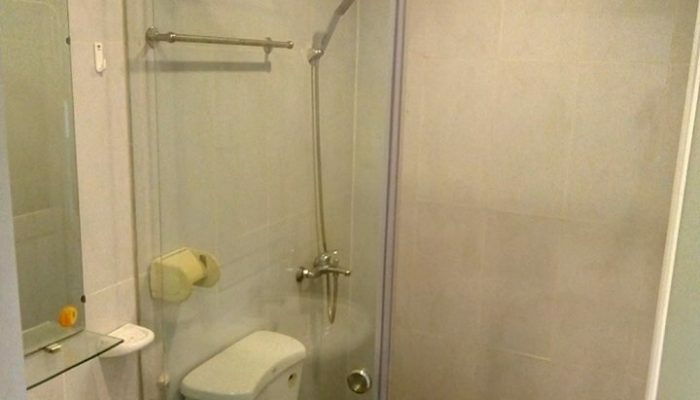 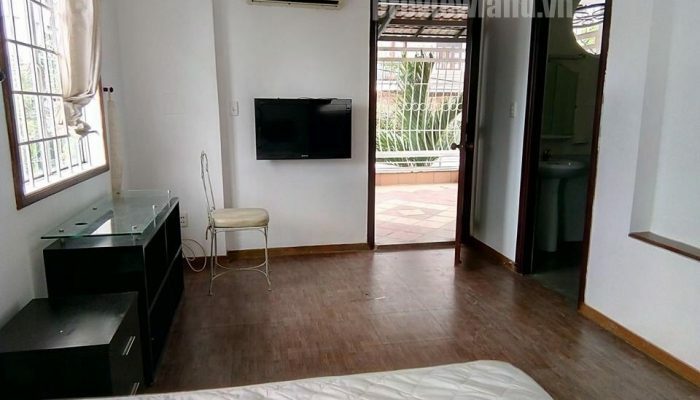 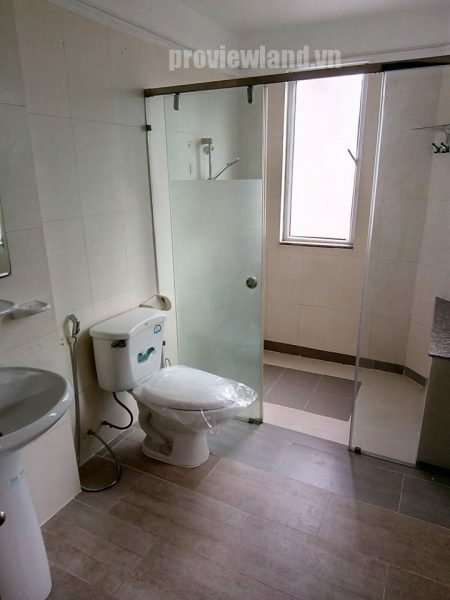 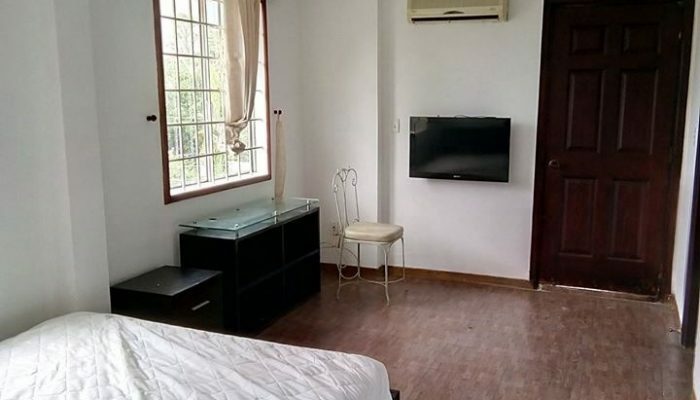 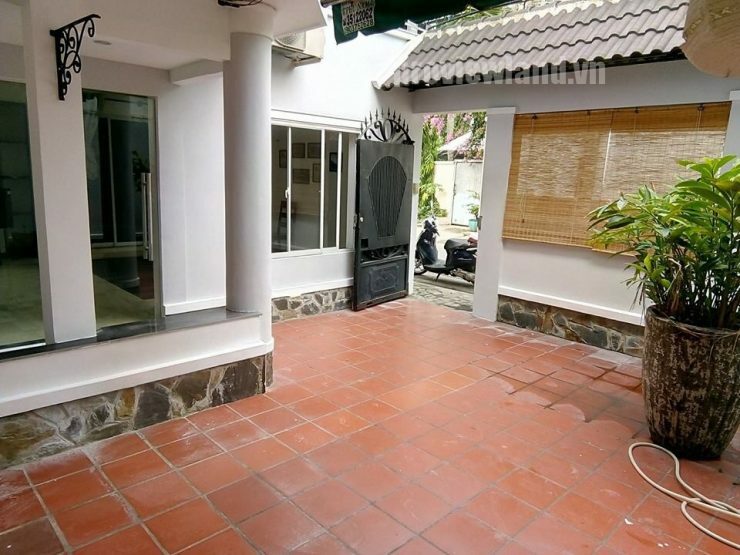 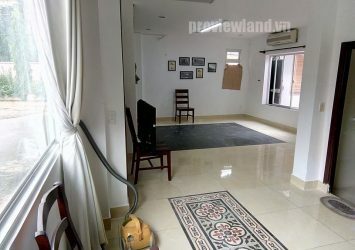 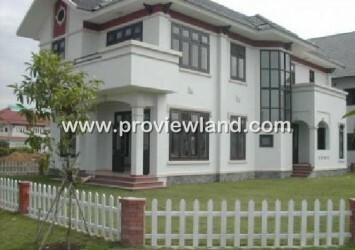 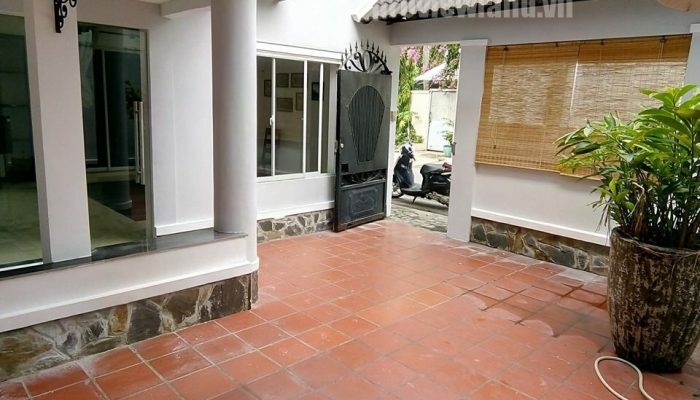 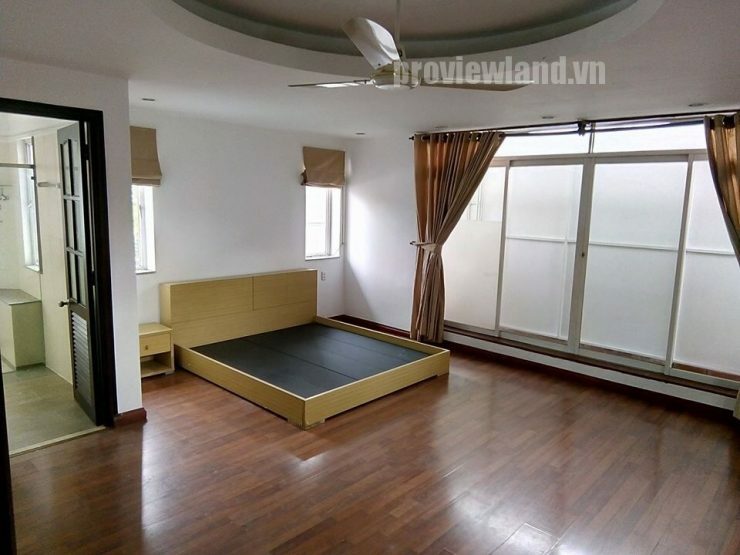 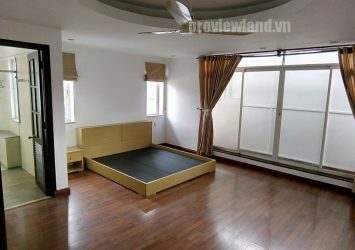 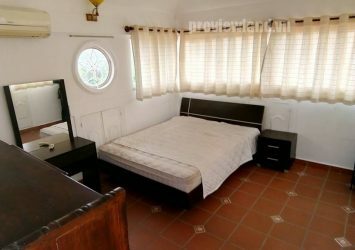 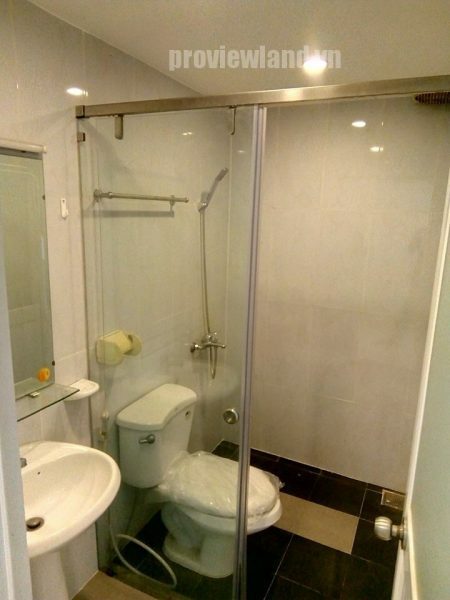 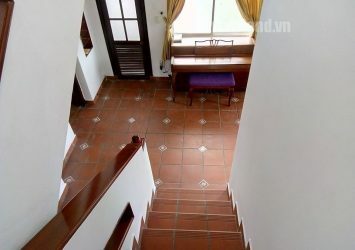 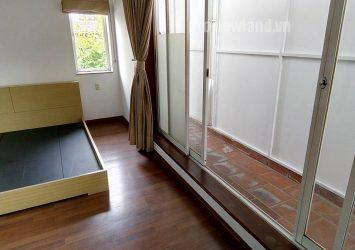 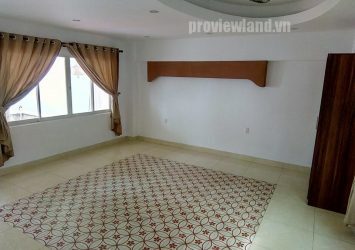 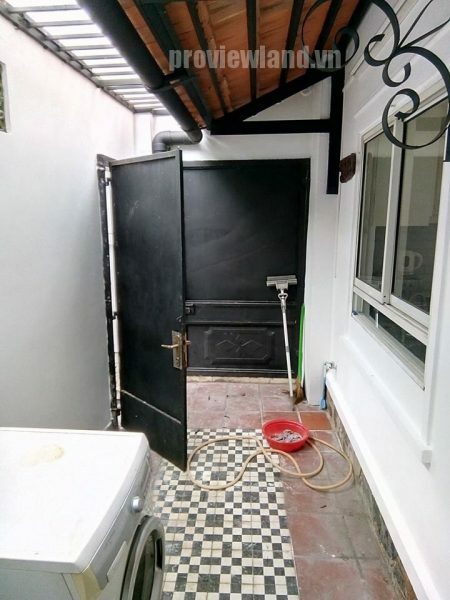 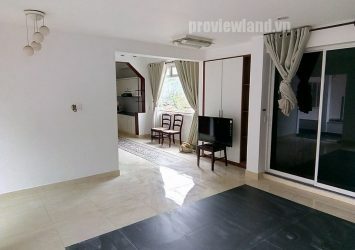 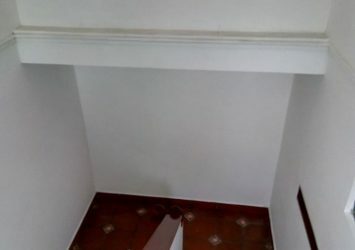 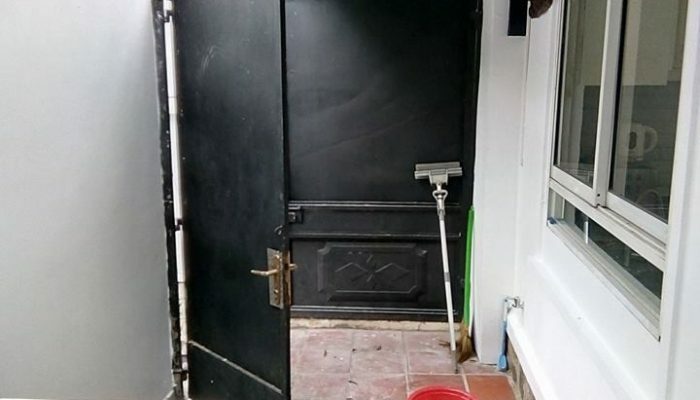 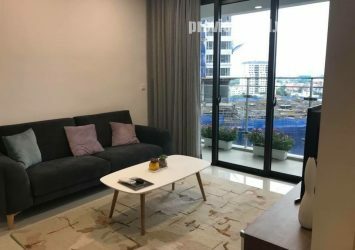 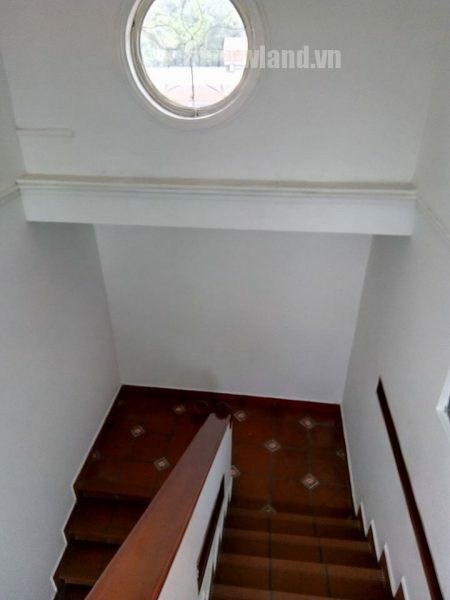 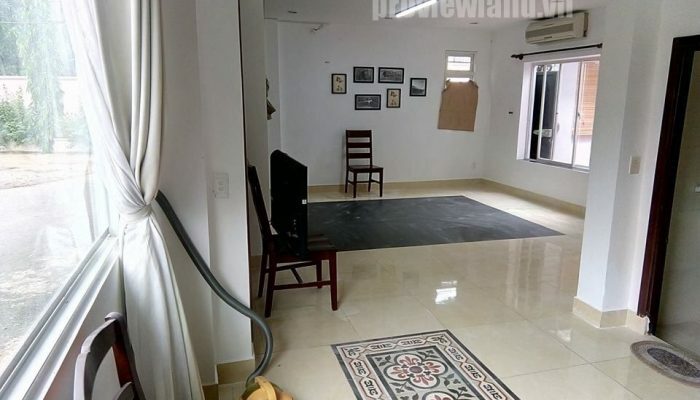 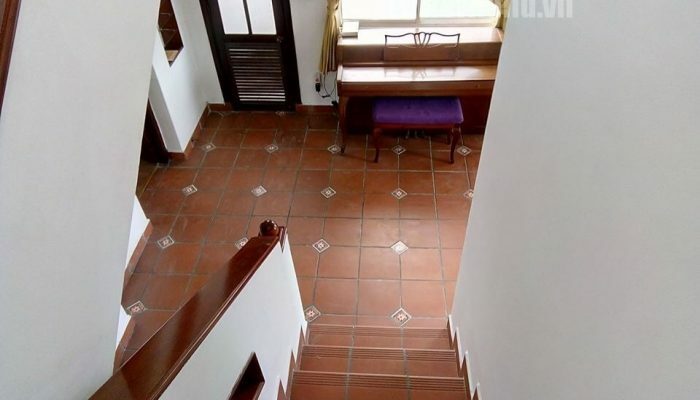 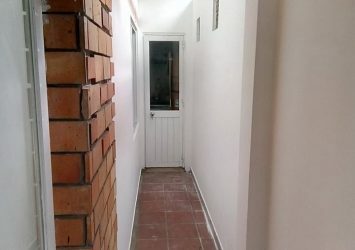 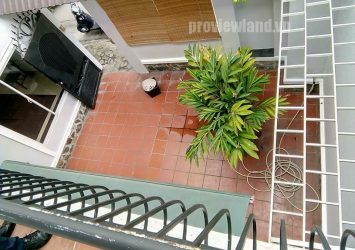 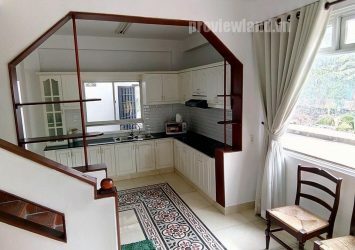 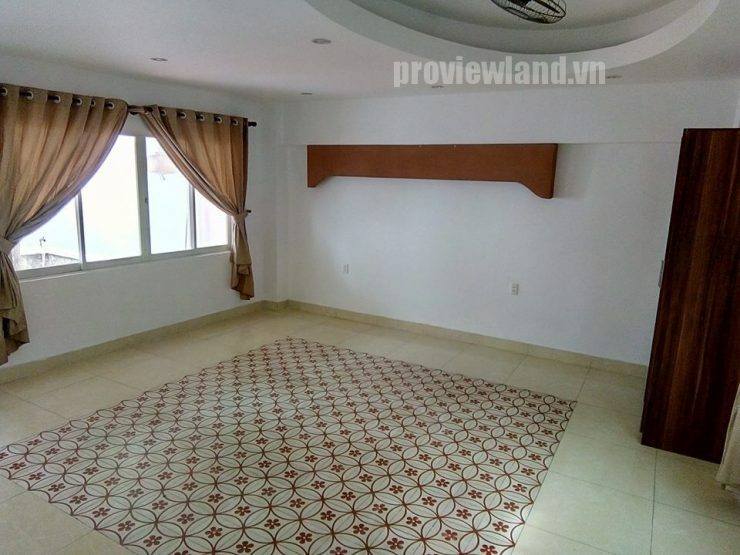 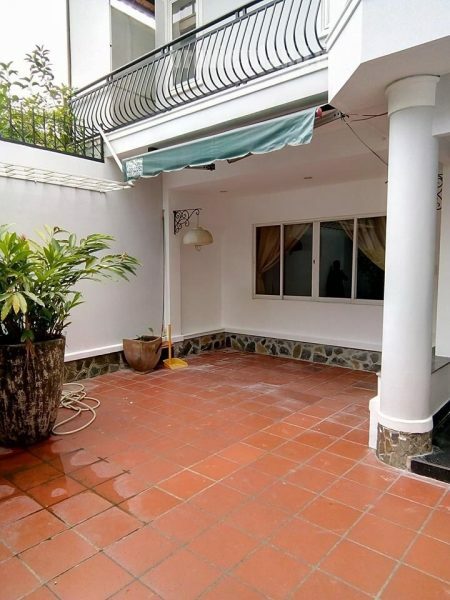 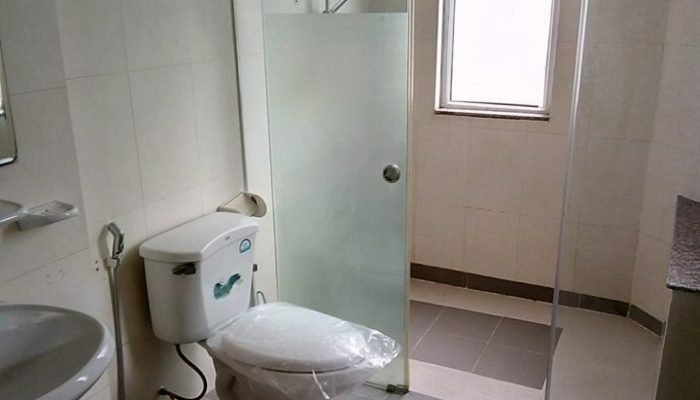 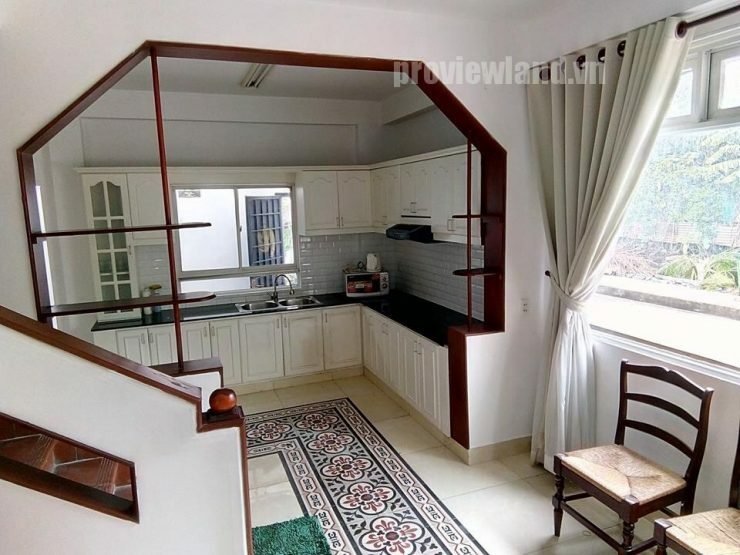 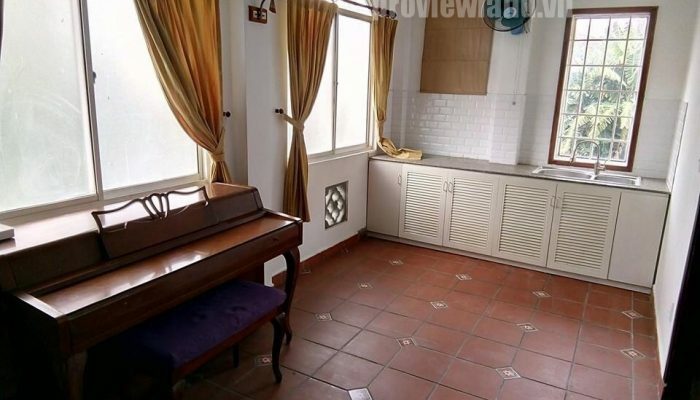 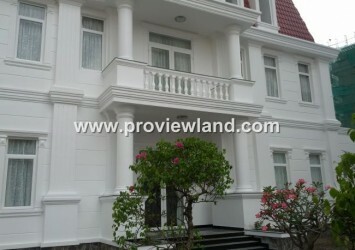 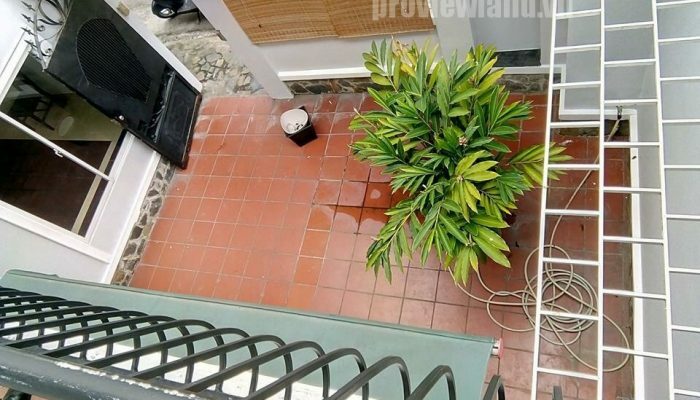 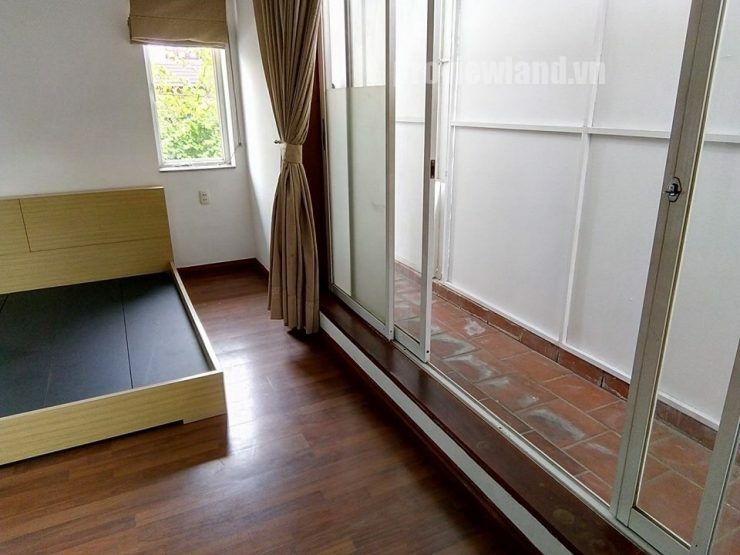 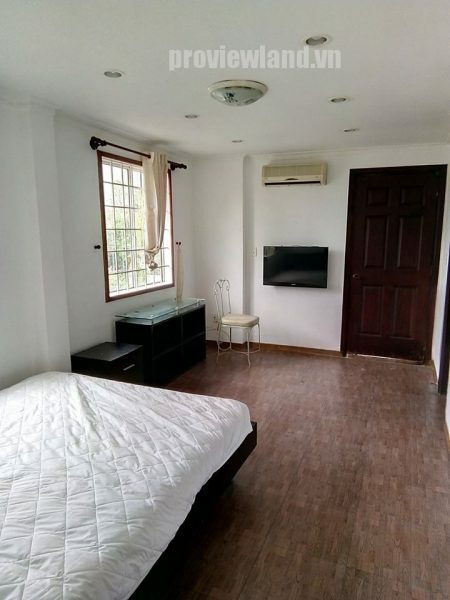 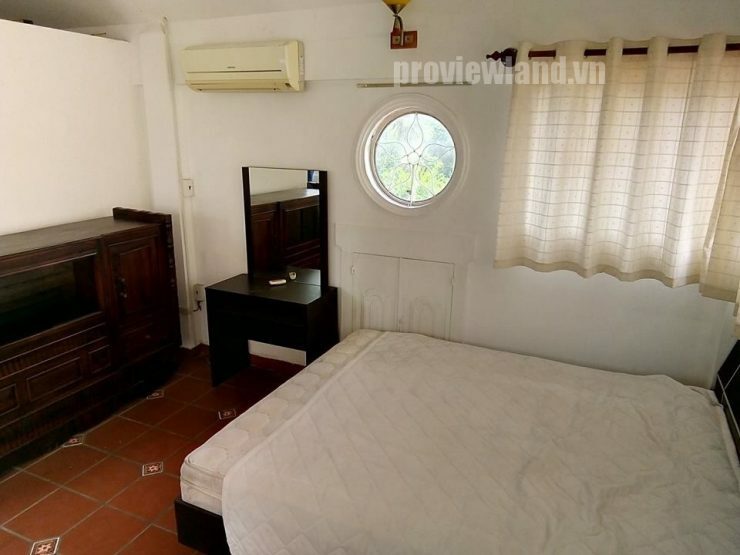 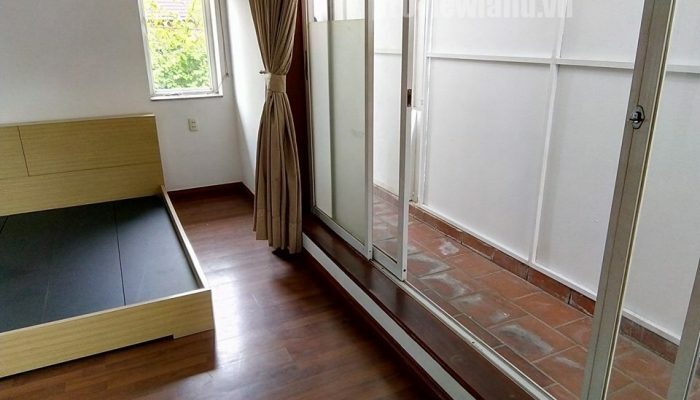 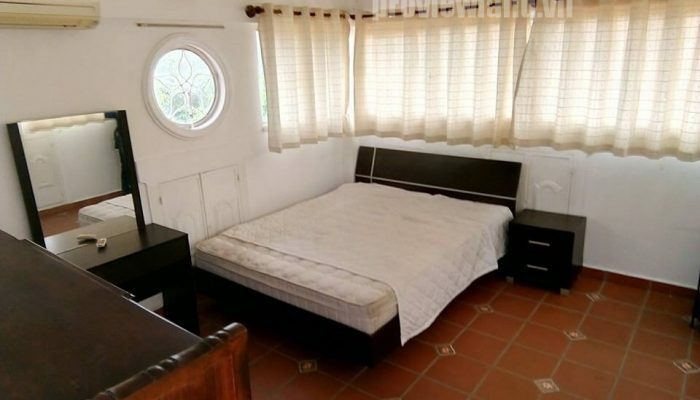 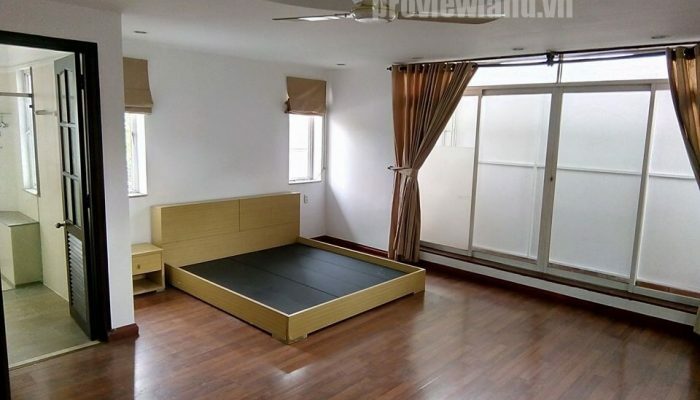 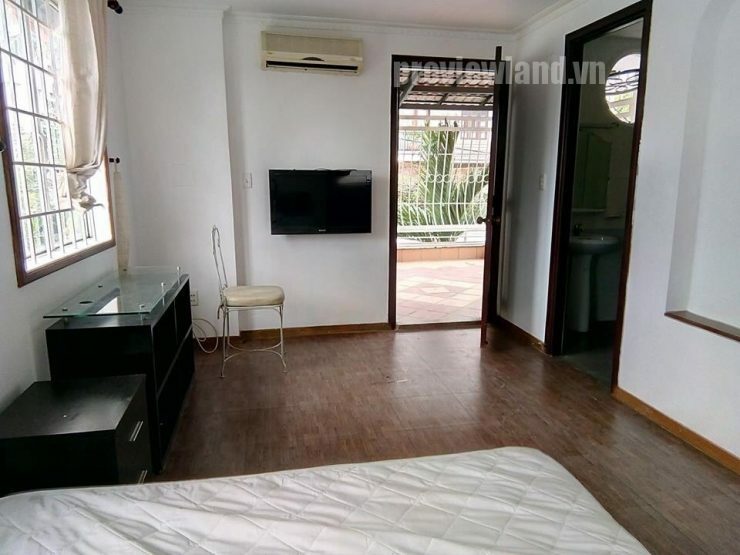 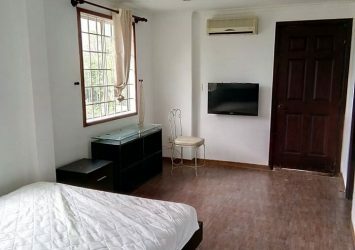 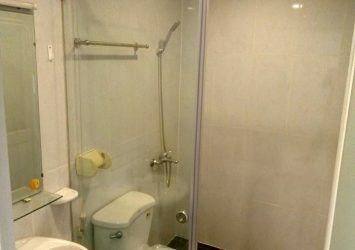 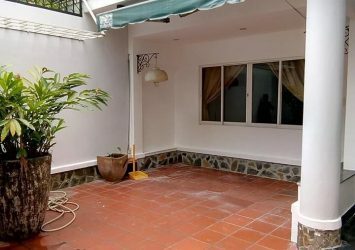 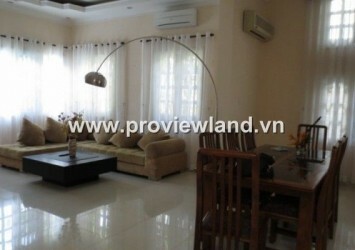 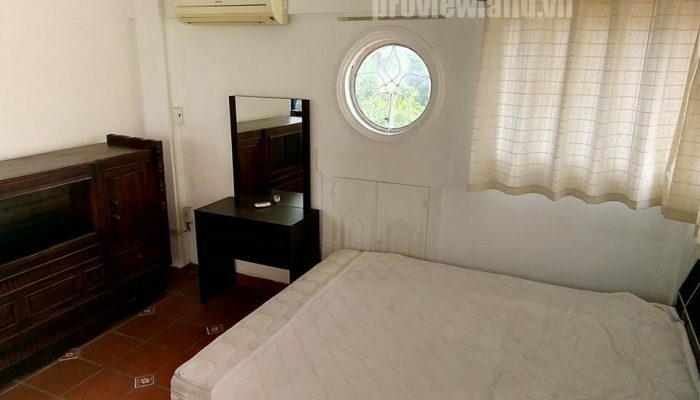 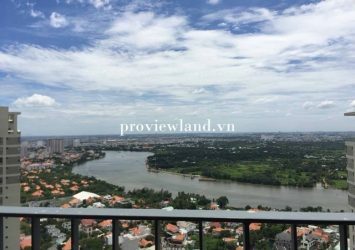 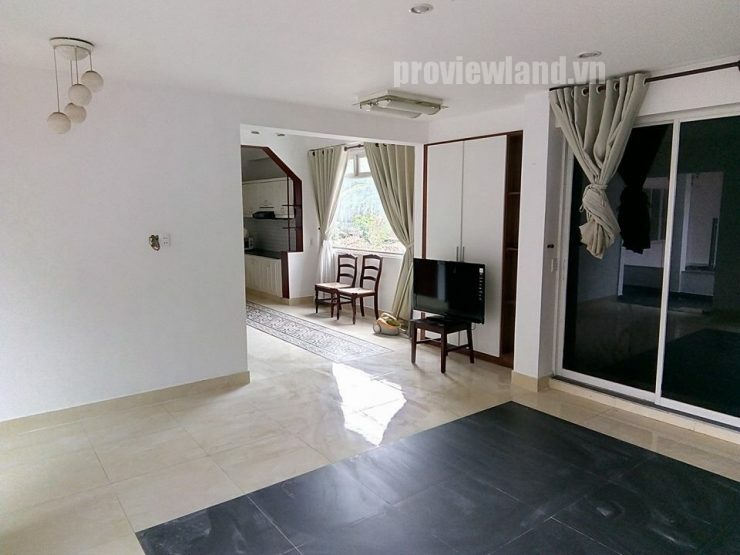 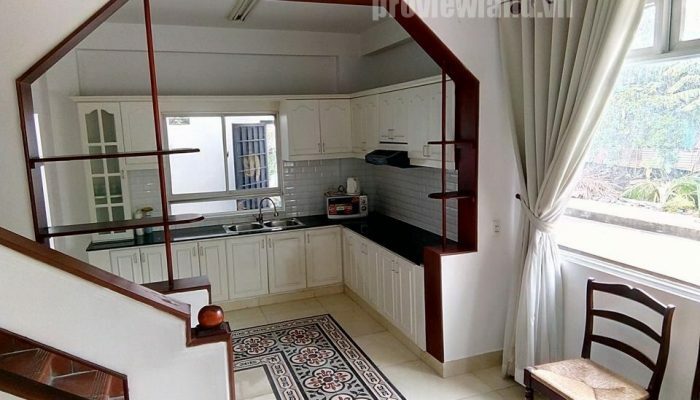 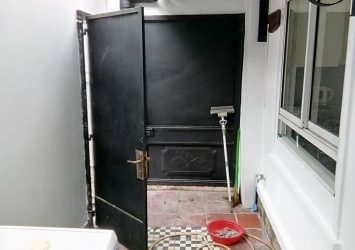 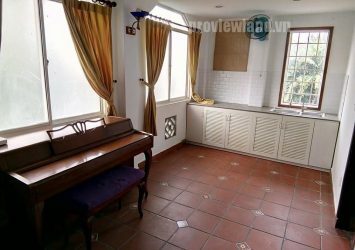 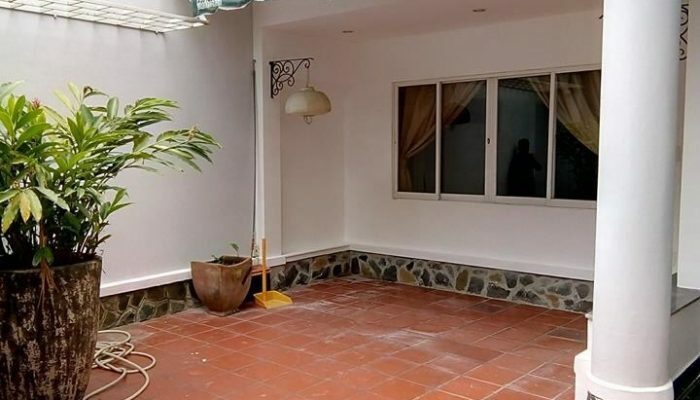 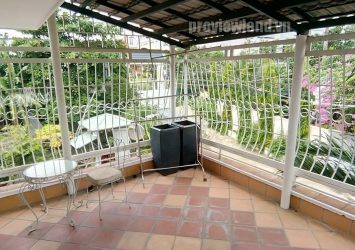 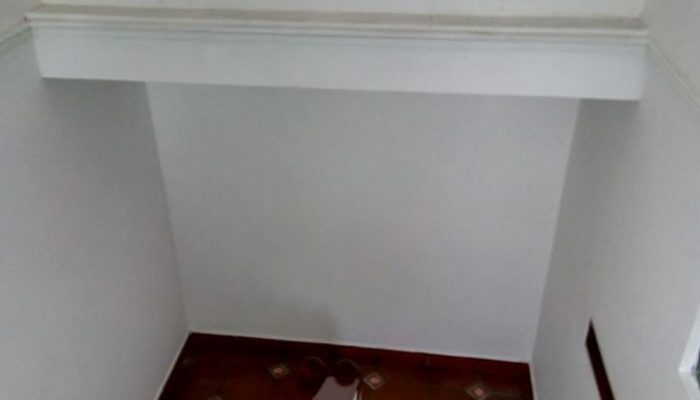 Thao Dien villa for rent fully furnished, large architecture with 4 bedrooms and 4 bathrooms. 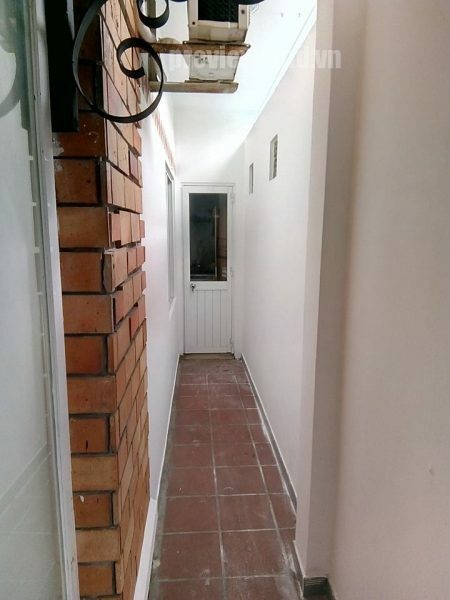 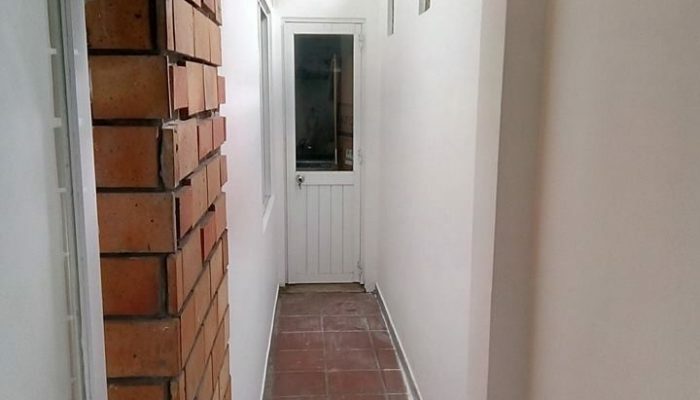 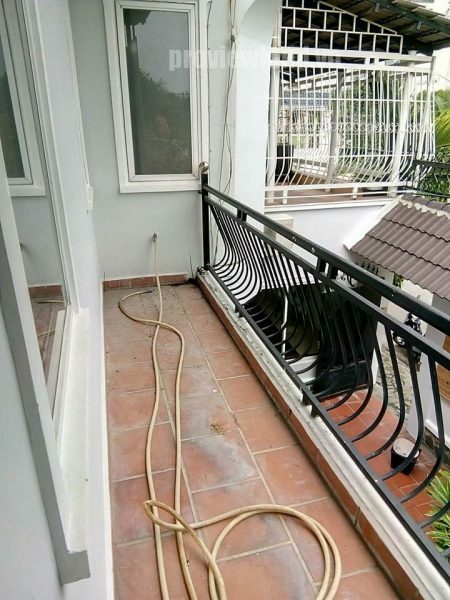 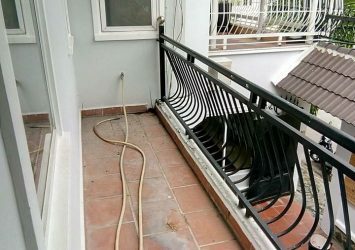 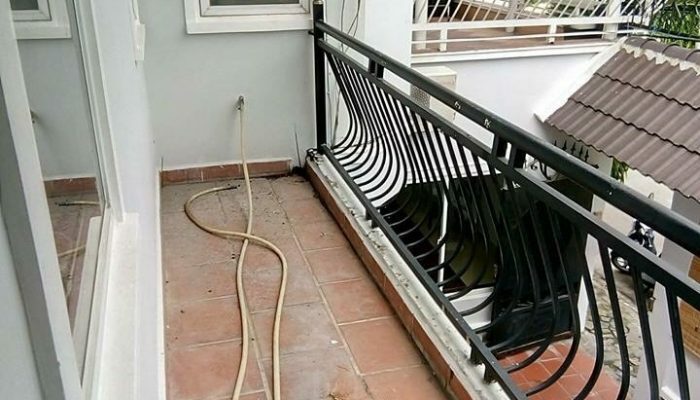 The balcony is designed quite long and wide, very suitable for airing and relaxation. 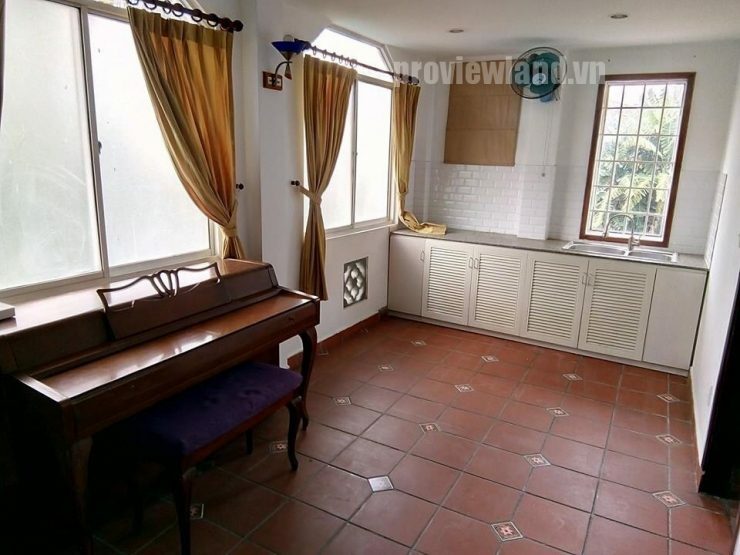 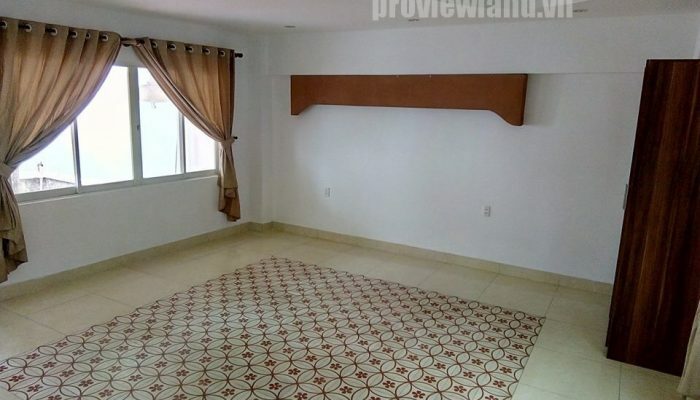 The kitchen includes all necessary utensils, and there is a microwave. 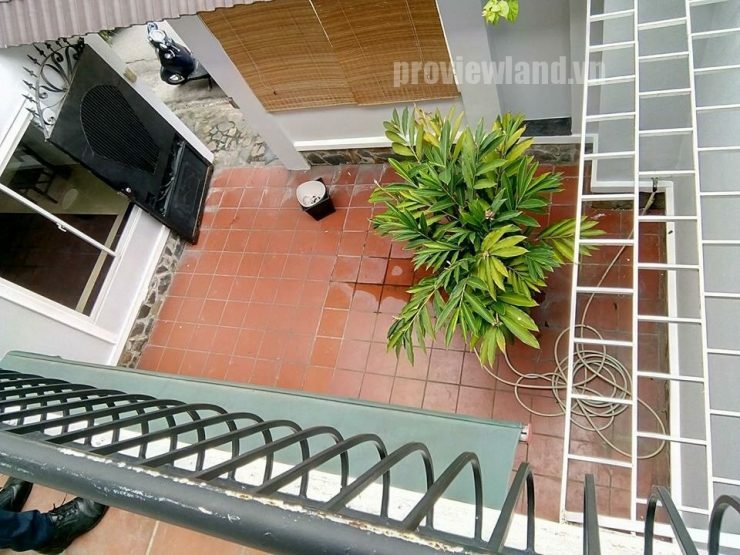 + Cafe, bar, beer, eateries. 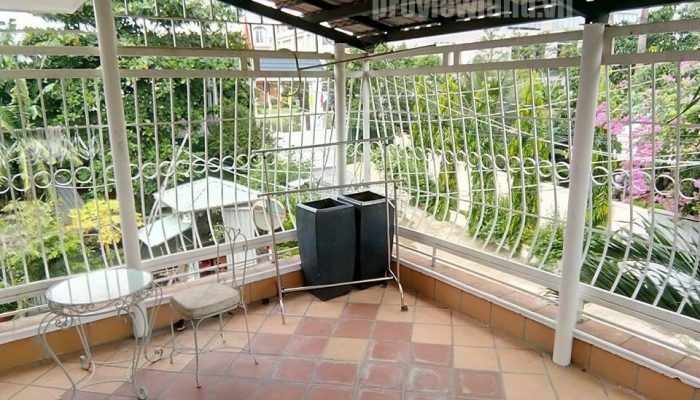 + Supermarkets, schools, banks, ATMs.